The lives of most restaurants are brief. You’ve seen favorites exit with surprising speed, and mediocre spots last beyond their pull date. 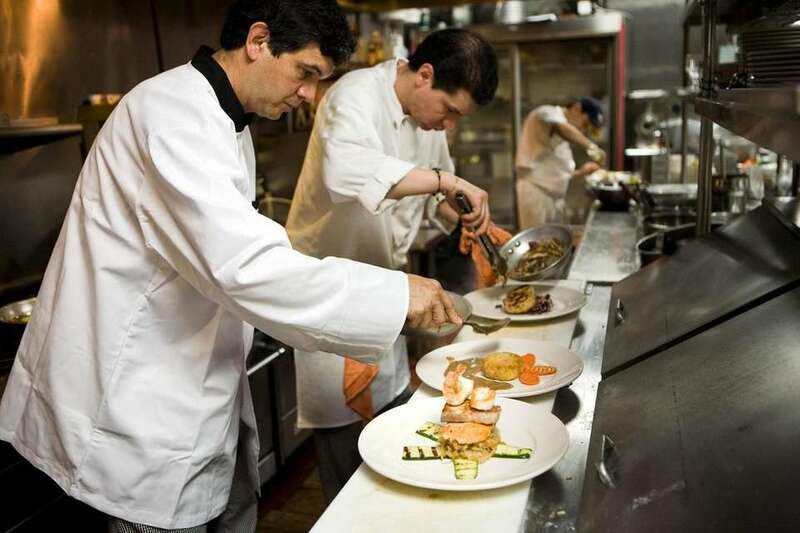 Studies made during the past 10 years suggest that most new restaurants fail in their first year. And about 70 percent of the survivors check out between three and five years. The reasons vary, from heightened competition to recessions. And in 2008, an economic downturn took hold that most experts say was surpassed only by the Great Depression. The restaurants that opened on Long Island a decade ago and still are serving have endured more twists and turns than fusilli. Restaurant reviews may become outdated in an instant, since every eatery is a live performance every day. Opinions of a book or a movie may change over time, but the text and the film usually don’t. If the chef quit this morning, tonight’s dinner may not reflect a week-old review. 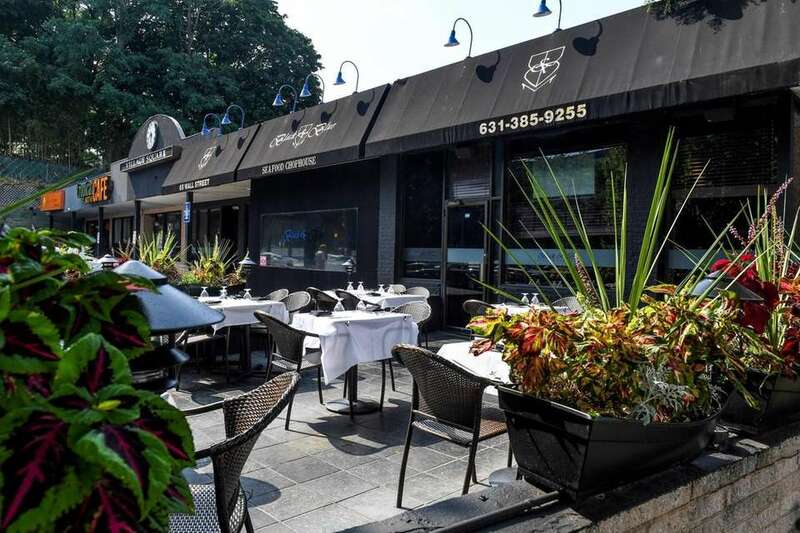 During the past few months, Newsday returned to 10 restaurants that opened in 2008 to favorable reviews. Since then, there have been improvements and declines. And, in some cases, things have pretty much stayed the same. Ten years after they opened, it’s time to see what’s on the menu. NOW: The restaurant has settled into downtown Huntington with generally more risk-averse choices. Be specific when ordering. That T-bone steak still may show up more medium-well than pink. 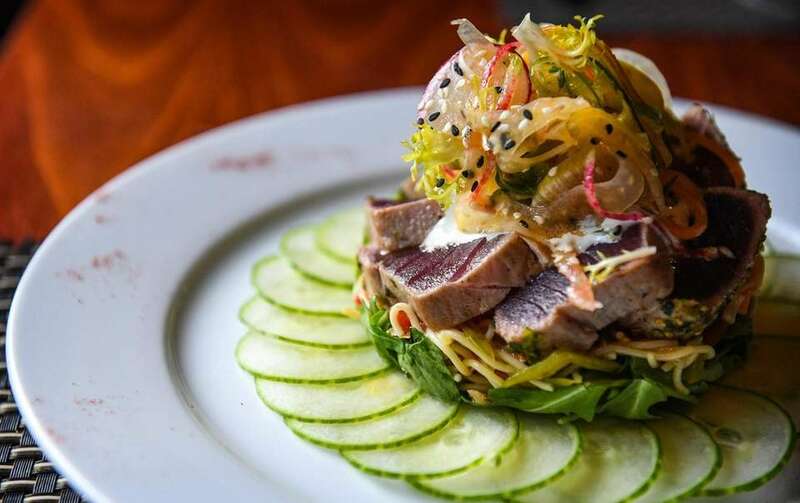 The “nori dusted” yellowfin tuna is served not as rare as it’s described, but it’s good, with the eclectic company of soba noodles, pineapple salad, ginger, shiitakes and avocado. Flash-fried Thai calamari, sparked by cilantro and peanuts, is sweet, but crunchy outside and tender within. The menu covers a lot of territory, with jambalaya vying with lobster cavatelli alla vodka. The choices at lunch — with sandwiches and wraps, burgers and assorted salads — are appealing. 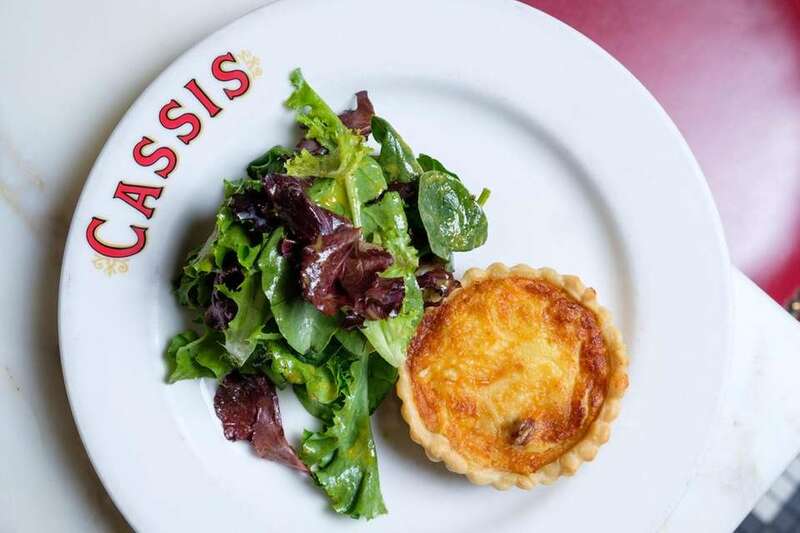 THEN: Brasserie Cassis opened as a buoyant two-star restaurant, with décor that allowed you to fantasize that you weren’t dining in a restaurant tucked into a shopping center. It was like a movie set. 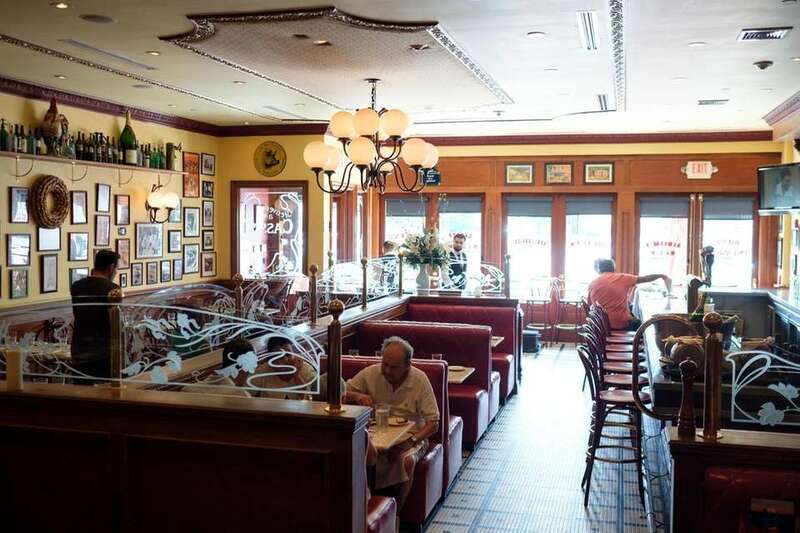 NOW: Brasserie Cassis has aged well, from its vintage posters to assorted antiques. 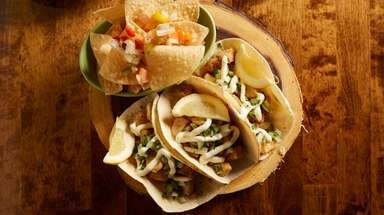 “The menu is very, very similar to what it was, staying with the original concept,” said manager Enio Prenda. The appointments have taken on a patina. And while the place mat says “bistro,” be assured that the style of a brassy brasserie, beers included, is real. 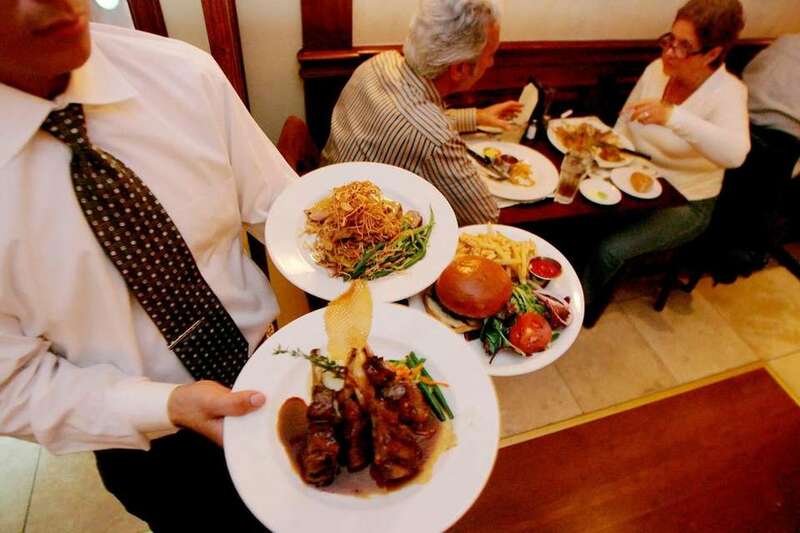 For bistro comforts, visit its popular relative, Bistro Cassis in Huntington. But more important than image and style is the food. And that’s even better than it was on jour one, whether you’re ready for onion soup gratinee, quiche Lorraine, a croque monsieur or steak au poivre. 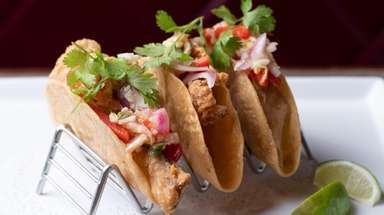 The duck a l’orange stays true and, if you want to be surprised, pick the duck confit tacos. THEN: This restaurant came under new ownership six years ago. 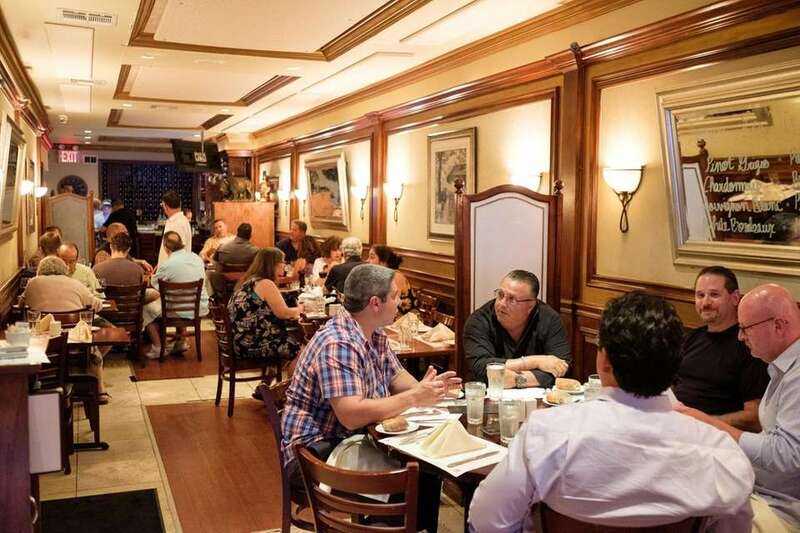 The French accent of Brasserie Persil included photos of Paris and good steak frites. Both have lasted. There was as much continental cooking as French under a multinational ownership. For example: risotto with scallops, pears and fennel, and a fricassee of monkfish and lobster. NOW: The kitchen forays even more into Mediterranean dishes than bistro-brasserie mainstays. Owner Hasan Balkas said the bar has been expanded, adding more Scotch. The genial restaurant delivers an assertively salty onion soup and a cheese-fondue appetizer with Asiago and Brie interrupting the Gruyère with slices of apple and cubes of bread for dipping. 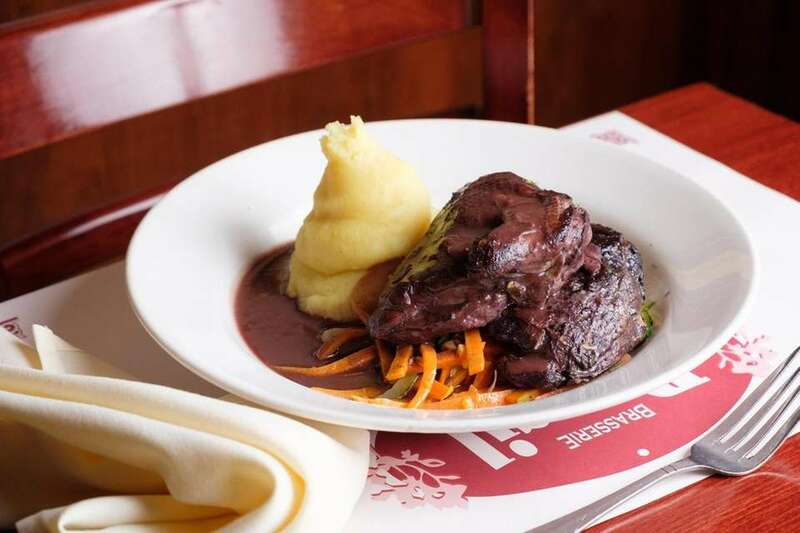 Vinous beef Bourguignonne, backed by mashed potatoes, mushrooms and carrots; and an equally winey, tender coq au vin lead main courses. There’s also a respectable duck a l’orange, and mussels mariniere and Provençal. If you’re feeling not quite Gallic, the alternatives extend to butternut squash ravioli and a risotto du jour. THEN: Ephesus was all about Mediterranean and Turkish cuisines at moderate prices, from hummus and eggplant salad to kebabs. The decorating was minimal, but did include images of the region. NOW: Those photos of Ephesus remain. 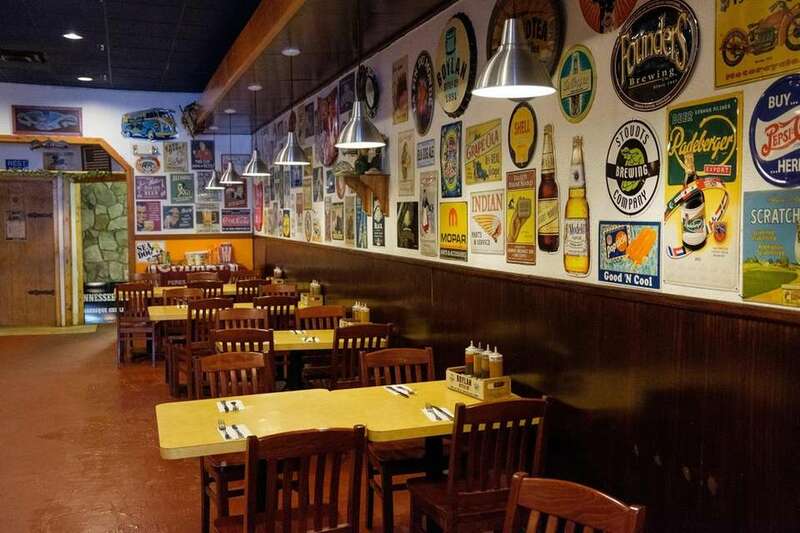 The restaurant changed hands in 2010 and could be refreshed now. It’s very lived-in. 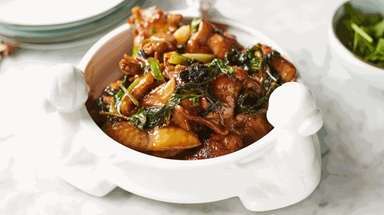 But that doesn’t affect the evocative dishes. 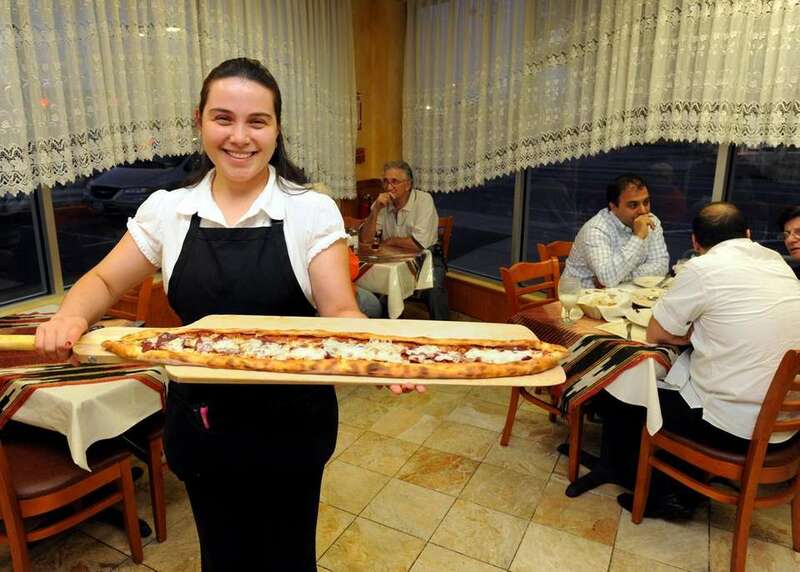 Manager Doruk Duygun said: “We serve basically the same things. 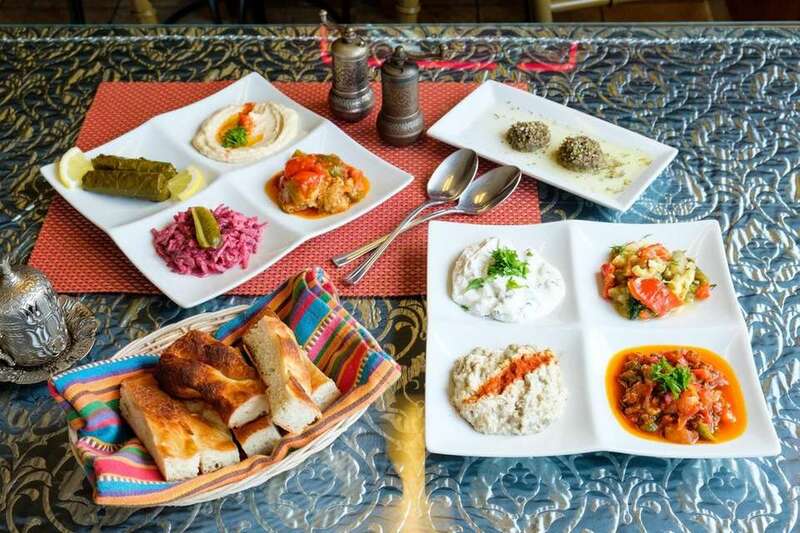 Changes are very small.” Begin with a combination plate of appetizers, which include the hummus and the eggplant salad, as well as hummus, baba ghanoush, stuffed grape leaves and more. 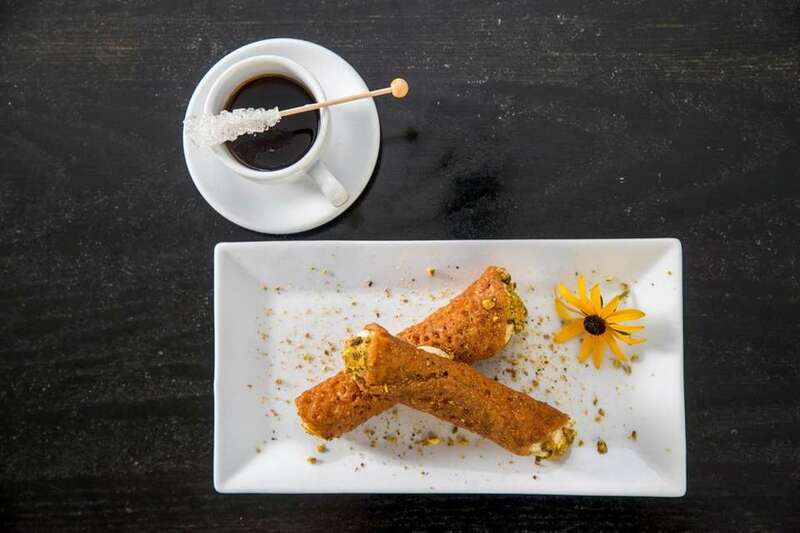 The “Turkish cigar,” a flaky pastry packed with feta cheese and parsley, also stands out. Main dishes such as moussaka, with baked and sliced eggplant; and cabbage stuffed with ground lamb and beef, are reasons to return, as is Turkish pide, a spin on pizza with cheese, vegetables, Turkish sausage or minced lamb. The baklava with walnuts or pistachio has stayed stellar. THEN: In a building that dates to 1869, the two-star restaurant fit right in. At the time, it was described as “still evolving.” A top dish was the Berkshire pork sandwich. 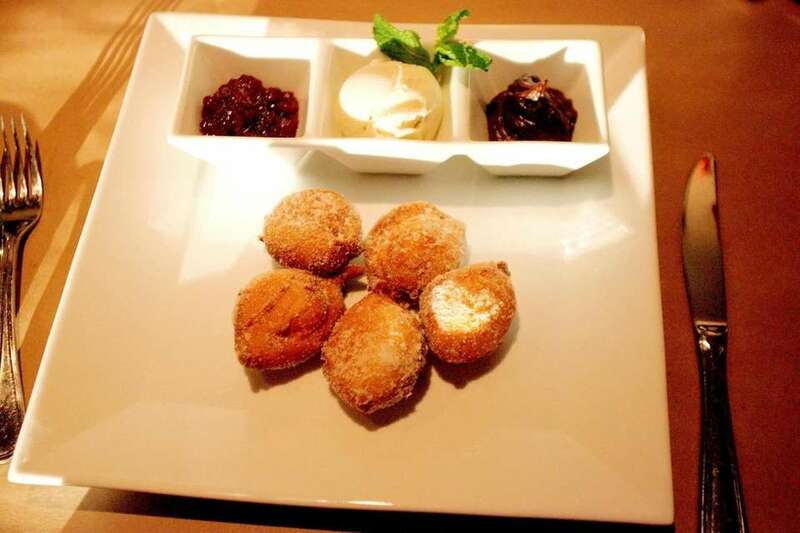 And warm beignets with three applesauces stood out. 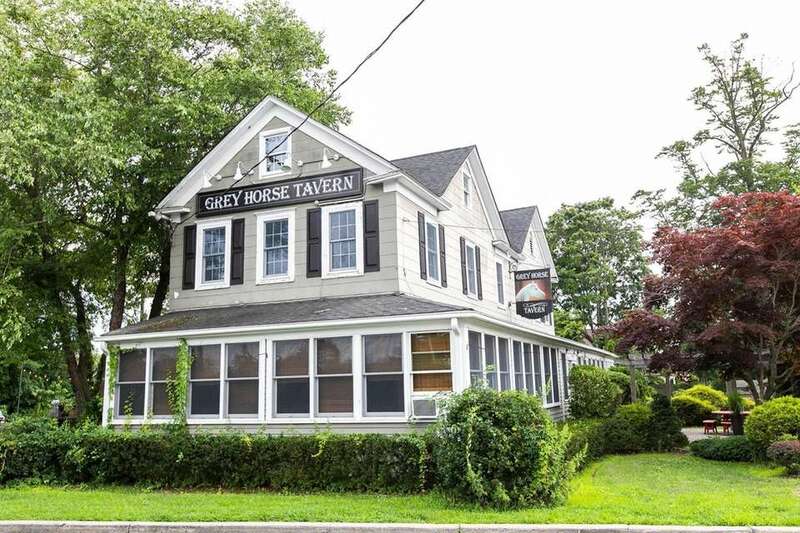 NOW: Grey Horse definitely has evolved and actually seems younger. 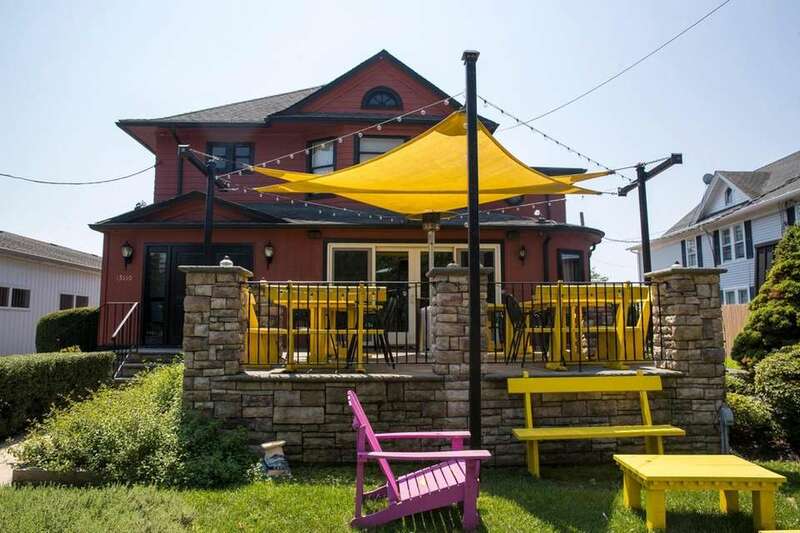 Co-owner Linda Ringhouse said: “We’re staying true to what we wanted to be,” a gathering place for the community devoted to local ingredients and farm-to-table cuisine. A blackboard at the entrance lists the farms, vegetables, fruit, seafood and beers of the day. 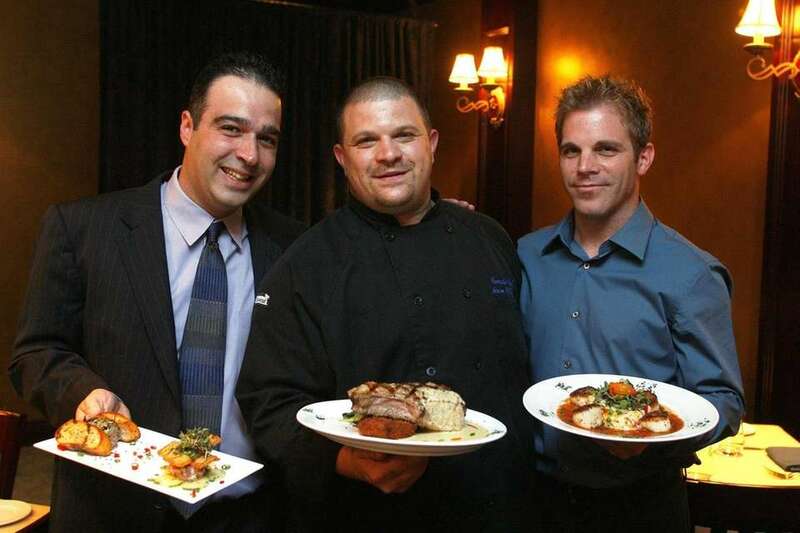 Mark Farrell is the fourth chef since 2008. 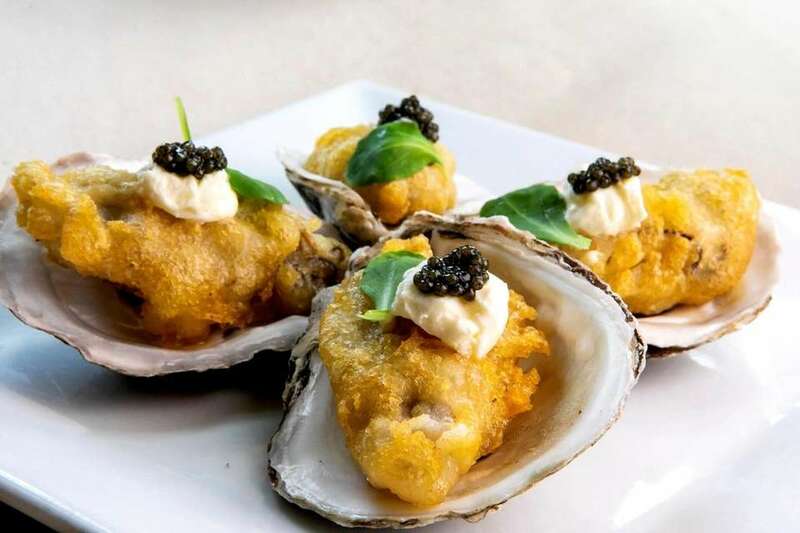 He prepares delicate tempura, Sexton Island oysters with crème fraîche, caviar and lemon-garlic butter; and hearty smoked bacon-herbed-Parmesan stuffed clams. In season, try the morel-and-English pea risotto. Grey Horse gallops closer to three stars than two. THEN: Limani rose palatially and grandiosely, with stratospheric prices to match. The seafood, especially grilled whole fish sold by the pound, was exceptional. So were many Greek specialties, from spreads to baklava. 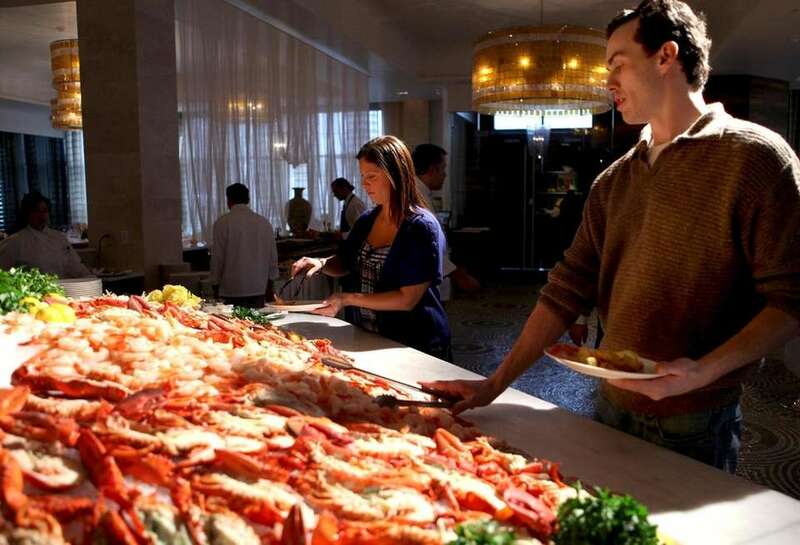 Lavish spending, by the restaurateurs and the diners, was reflected everywhere. NOW: The food has stayed on point 10 years in. The look is the same. 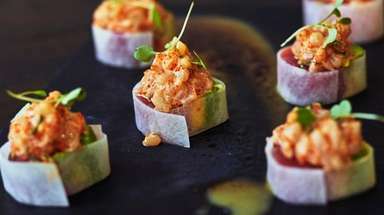 “The only changes have been that we added more sashimi, crudo, tuna and salmon,” said Limani general manager Franco Sukaj. He added that pricing of whole fish is no longer by the pound but set for one or two diners. 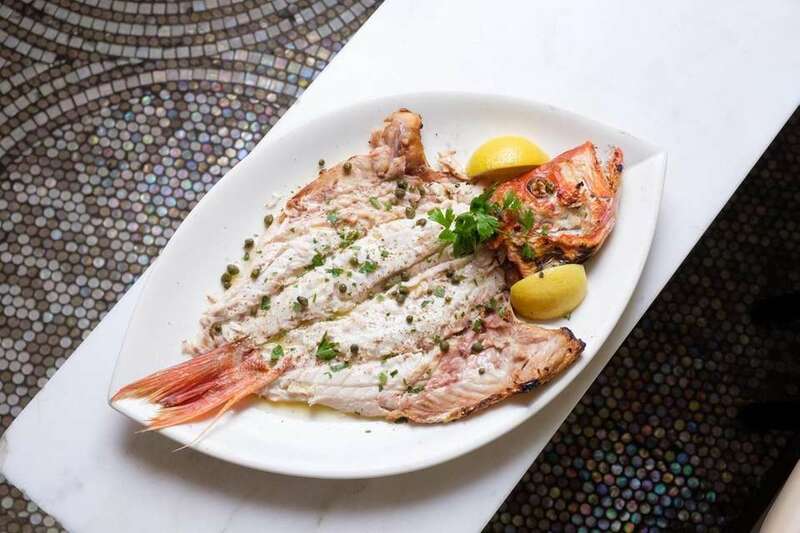 Grilled fagri, a Mediterranean snapper, is served for two. Recent price: $76. Precede it, or other whole fish such as royal dorado and black sea bass, with assorted Greek spreads, grilled octopus or grilled sardines, fried zucchini and eggplant with kefalograviera cheese. 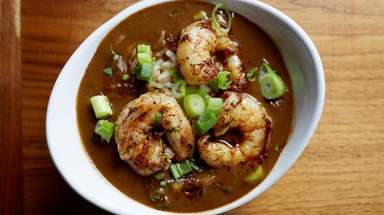 Sauteed shrimp with a sauce of tomato and feta, and seasonal selections such as langoustines and head-on wild shrimp are the competition, along with grilled lamb chops and strip steak. Desserts take in superior baklava and loukoumades. Recommended in 2008, recommended today. THEN: A Mano opened as a lively variation on the osteria theme, seasoned with some New American fare. The slowly simmered meatballs would compete with sauteed local fluke, pork braciola with roasted local beet salad. NOW: Kristi Macdonald became head chef at A Mano three months ago. 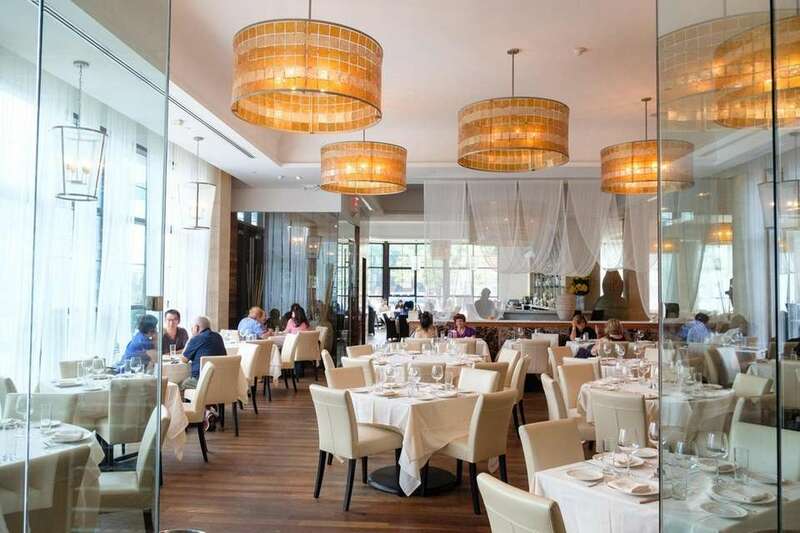 She has overseen seasonal changes to the menu, and the addition of dishes such as sauteed sea scallops with lemon risotto and seared branzino with corn succotash. Some dishes that “have run their course” have departed. But A Mano continues to combine “rustic” Italian and New American with great ease and big flavors. 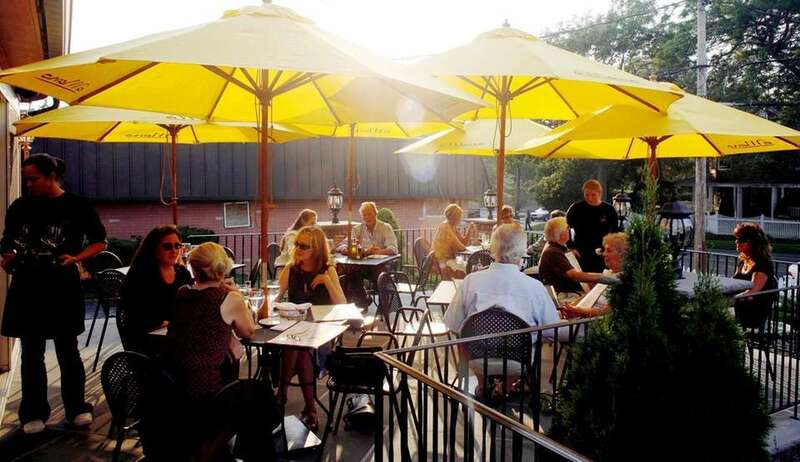 This Mattituck restaurant was a destination in 2008 and stays one today, for reasons ranging from tasty wood-fired pizzas and creative pastas to satisfying main courses. Dishes such as Meyer lemon-and-arugula ravioli with wilted greens and garlic butter; Fontina cheese stuffed and fried squash blossoms; and penne with fava beans, arugula pesto and burrata, are excellent And dive into the house’s trademark chocolate bag, or “il sacchetto di cioccolatto,” filled with banana, vanilla gelato, caramel and chocolate sauce. 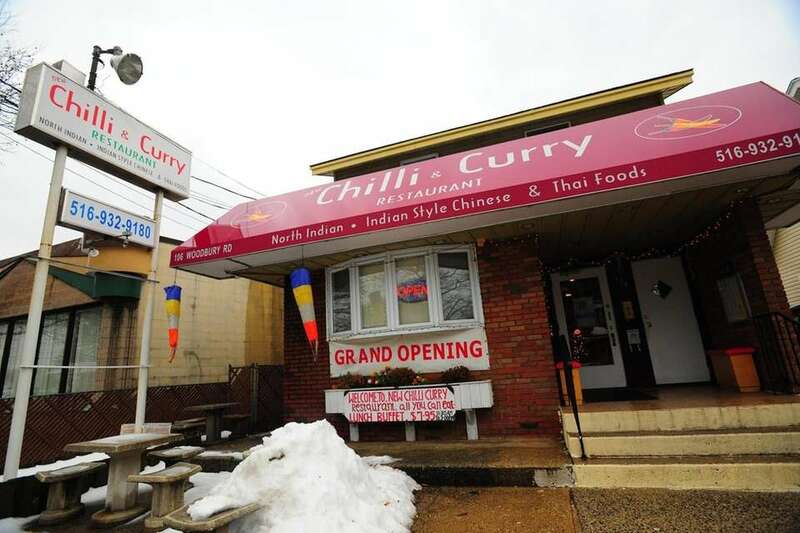 NOW: New Chilli & Curry stays genuinely warm, with an inviting manner and friendly service. 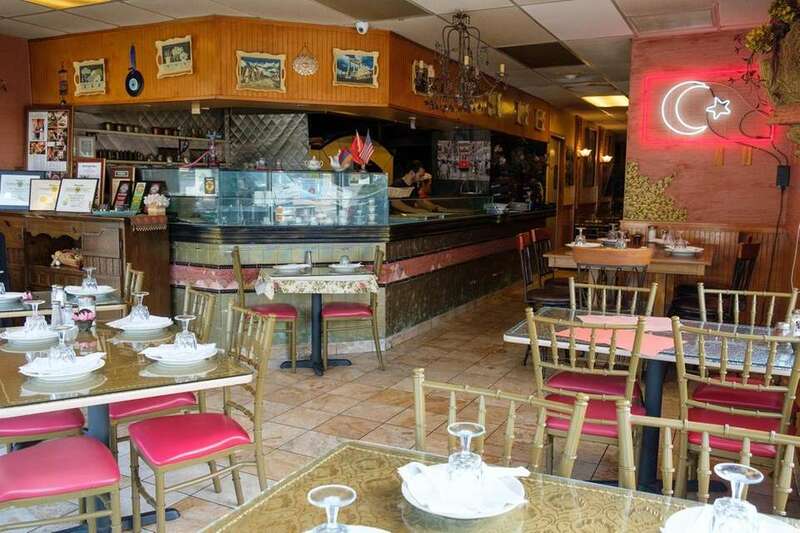 The compact restaurant has kept the impression of a home where you’re a very welcome guest. 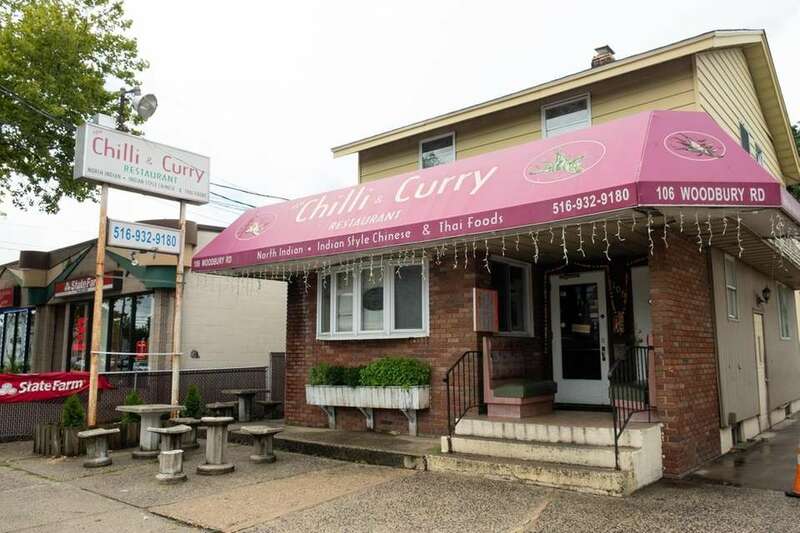 As for the cooking, “Nothing has changed,” said owner Kumar Chhetri. “It’s same, same, same.” Seating gets pretty tight in a hurry, even on a weekday night. Dine on the late side, and sometimes the kitchen runs out of what you want. 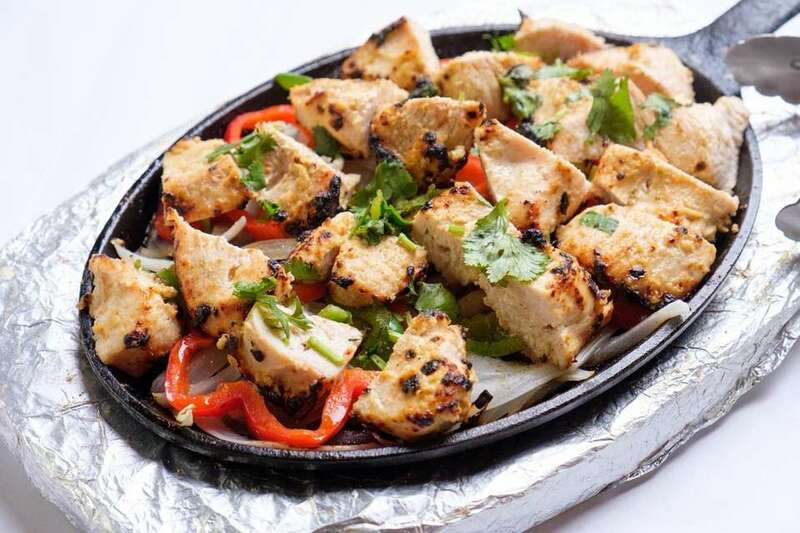 But you’ll still enjoy the juicy kebabs, deftly seasoned vegetables, assorted breads, zesty and hot chicken chettinad, incendiary chili garlic noodles and spicy coriander soup. But vegetable samosas, fritters and fried cauliflower show up very dry. No sauce, sweet or hot, can rescue them. Be prepared to wait for your table. 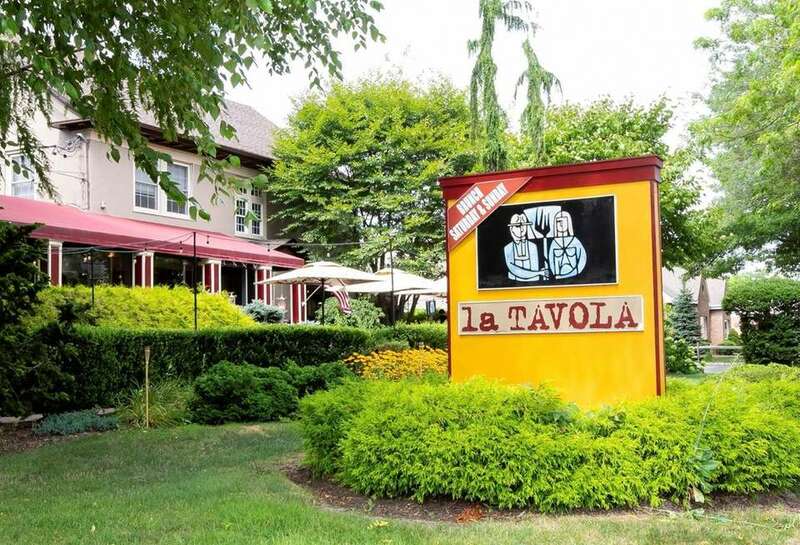 THEN: La Tavola ranked among the top 10 restaurants of the year in 2008, evoking a country trattoria that offered Italian-style “small bites” and a splashy crudo of yellowfin tuna accented with mint and chilies and fluke with tomato confit. The burrata Caprese was delectable. NOW: La Tavola shows its years with the increasingly weathered, homebuilt wooden tables. But they suit the ambience here. The restaurant did receive a face-lift a few years ago. And the menu changes monthly, said bar manager Drew Scordamaglia, The two-star restaurant appeared more ambitious a decade ago. Service, however, has stayed friendly and accommodating. 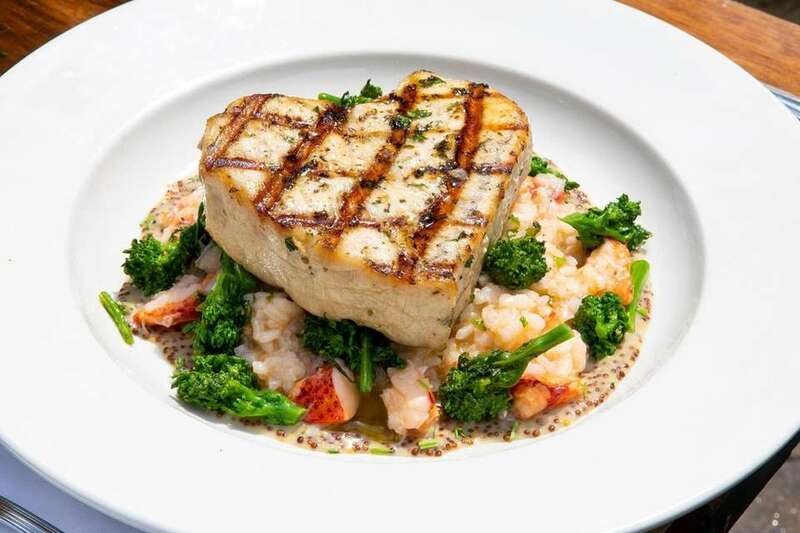 Better choices are marinated and grilled swordfish; and husky arancini, or rice balls, that, along with fried calamari, were present at the creation. Gnocchi Bolognese can be very al dente, though the sauce is fine. The black mission fig pizza is on the dry side; and the chicken scarpariello with sausage, peppers, potatoes and oregano could use another splash of red wine vinegar. The obligatory dessert is playfully named the “life changing doughnut,” with lemon sorbet and berries. Or try the milk and cookies finale, with house-made chocolate chip upfront. THEN: Tennessee Jed’s was in Wantagh. And the name referred neither to the state nor any ‘cue. The faithful will recall it’s from a Grateful Dead song. The eatery’s style fit right in, with intense smoking. NOW: It’s situated in Lindenhurst. “The only major change is our location,” said manager Julie Gonzalez. “It’s exactly the same menu.” The restaurant relocated in 2016. 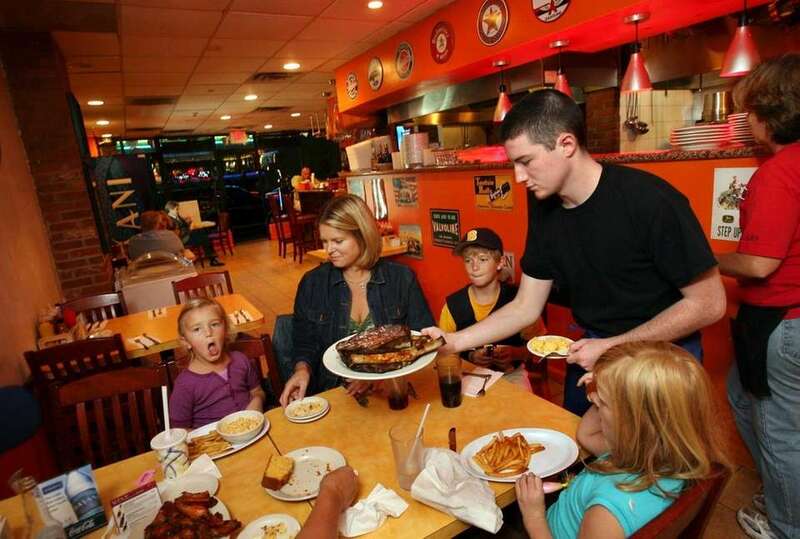 During these years, barbecue has had a boomlet on Long Island, in variety and in quality. Tennessee Jed’s continues to serve some of the smokiest you’ll find, from pitmaster Francisco Gonzalez. 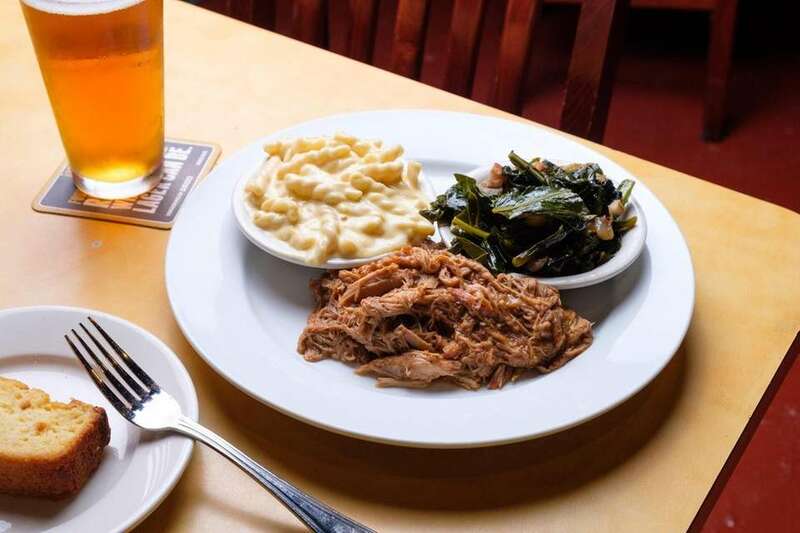 Go for the beef brisket, any of the ribs from St. Louis to Memphis baby back and Texas beef; the Carolina pulled pork and the ample fried chicken. Skip the Oklahoma State Fair corn dgs and the Texas links. Friendly service, plenty of craft beer and a well-worn look full of the apropos signage that suggests a roadhouse before renovation.